"No one in politics likes fundraising. Candidates would rather be shaking hands and giving policy speeches, and campaign managers would rather design messages, target grassroots efforts and buy TV spots than worry about how much that event tomorrow is going to raise or what numbers the campaign will show on the next finance report. "While fundraising isn’t most people’s favorite activity in politics, it is a necessary endeavor. Without fundraising, there wouldn’t be money to spend on events, staff, TV ads or brochures. Raising money is the first thing every campaign should do, and everyone on the campaign team, from the candidate down to the interns, should be keenly aware of the importance of the campaign’s fundraising activities. "Lots of people in politics want to 'take the high road,' and avoid fundraising. I can’t tell you how many candidates I’ve talked to over the past decade that have told me, “I want to focus on the issues, and we’ll hire staff and consultant s to raise our money.” The reason those candidates say that is because they think that fundraising is dirty, slimy, or beneath their dignity. "Nothing could be further from the truth. Sure, there are candidates and campaigns out there that play dirty, doing unseemly (or even illegal) things to raise the money they need to run. That can’t (and shouldn’t) be you. But apart from that, let’s look at the big picture here: you’re running because you want to make a difference, right? You’ve got good ideas and a good vision? If so, it’s going to take money to get your message out to the voters. You’ve got to raise that money, the same way a non-profit or start-up business does. What’s wrong with that? Nothing. "Everyone on the campaign should be involved in fundraising, and all staff and volunteers should be clear on just how important the fundraising activities of the campaign are to success on Election Day. Schedulers should make time for fundraising. Volunteer Directors should assign people to help stuff fundraising mailings. 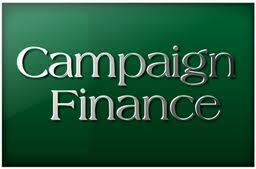 The campaign manager should prioritize fundraising in the overall campaign plan. "That being said, the person who must do the lion’s share of the fundraising… the fundraiser-in-chief, if you will, is the candidate. The finance director and fundraising staff can do a lot of great work writing plans, sending out mail, pulling together events… but ultimately, big donors want to talk to the candidate – and the candidate must be willing to talk to them, and to ask them for money. The largest percentage of your fundraising dollars will come from large donations, and most large donations will come through the candidate’s personal asks. "Too many campaigns think that once they jump into a race, put up a website, and hold a couple of rallies, the money will start flowing in. Nothing could be further from the truth. Sure, a good message, great PR, and lots of activity will help your fundraising efforts, but no one is going to give unless they are asked. 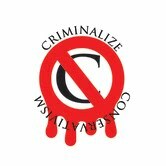 "Very few people will just send in a check or go to your website and give a major donation. 95% or more of the people who give to your campaign will do so because the candidate, the staff, or one of your Finance Committee members asks them to donate, or because they receive a direct mail or e-mail solicitation. You’ve got to (ask). "Similarly, very few people, when asked to give $100, will instead give $200. Lots of people will say, 'Sorry, I can’t give $100, but I’ll give $50,' but very few will give more than they are asked. The moral of the story is: always ask for more than you think you’ll get. People can always talk you down, but they will almost never talk you up. "Calling random wealthy people on the phone and asking them to give to your campaign is rarely the best way to go. People are far more likely to give to your campaign when they are asked by someone they know well, or whom they at least have worked with or known socially. "For that reason, the best place to start in political fundraising is with the candidate’s own rolodex. Who does the candidate know? Who does his or her spouse know? Ask these people first. 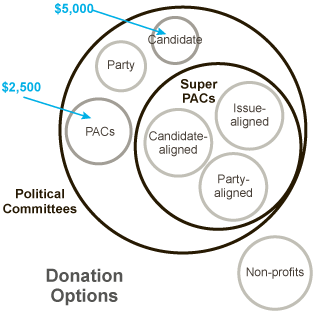 Then, ask these people to open up their own rolodexes for you… this is how fundraising networks are built: like concentric circles, emanating out from the candidate. The goal is to get your supporters to ask their friends and colleagues, and then to convince some of those friends and colleagues to do the same. This is called 'building a fundraising network.'" "If you’re running or thinking of running for office, there are bound to be lots of questions running through your head. One question, though, is probably at the forefront. First time candidates and political pros alike start each election cycle with the same query: where will I find the money I need to win this election? "If you don’t plan to contribute anything to your own campaign, how can you expect anyone else to? Many potential contributors will scoff at financing a first-time candidate who won’t even donate to his or her own campaign. Of course, you needn’t go broke contributing to your campaign, and different candidates have different size bank accounts – but you simply must give something before you can expect others to do the same. "Starting a political campaign is a lot like starting a business. And much like a new business owner seeking start-up funds, a new candidate should first tap those who he or she knows best. Approach family, friends, and business contacts – your entire network. Those who know you are more likely to support your candidacy financially than those who don’t know you. "If you’ve run for office before, be sure to contact all of the people who gave to your last campaign, whether you won or lost. They have already invested in you and your political career, and they want you to do well, so they are very likely to give to your campaign again. "If you’ve never run for office before, try to get the names and contact information for donors to other past candidates in your area who were similar in ideology to you. For example, if you are a conservative Republican and the local mayor is a conservative Republican as well, see if he’ll let you borrow his donor list for a one-time mailing. People who are willing to open their pocketbooks for candidates similar to you are likely to open them for you as well. "People are more likely to give money to a cause when someone they know and trust asks for it personally. Gather your family, best friends and closest contacts together and ask them to solicit donations for your campaign from within their own circles. Give them the materials they will need to do this, including what to say, how to collect the money, and a goal for what they should raise. "Remember, in order to start strong you’ll need to start early. Use these five tactics to start raising the money you need to win early, and you’ll be off to a great start." 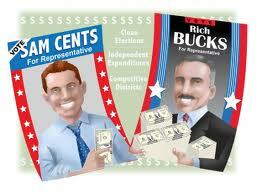 "Personal solicitation is one of the most important methods of fundraising for local campaigns. This method involves having the candidate and key supporters solicit donations either face-to-face or over the phone in a one on one setting. Because of the large time commitment it requires, this method is generally reserved for major donors; that is, supporters who are expected to contribute large sums to the campaign. "Possible donors are most likely to contribute when asked by the candidate. If it is not possible to have the candidate ask all of the major donors, have the finance committee and campaign manager help out, as needed. Key political and business leaders from the community can also be recruited to help solicit donations. Friends and family of the candidate, finance committee, and volunteers. People who have indicated their support for this election. Donors to the local party and other candidates’ campaigns. Business leaders and professionals in the community. Members of local civic organizations. "Try to assemble a list of names, addresses, telephone numbers, and any other information you can gather on possible donors. "The next step is to assign a 'giving level' to each person on the list. This is the amount that you believe each person will be able to give. For names that you get from the finance committee and volunteers, ask them to help you name a giving level. Check past contributions to campaigns and use the possible donor’s profession and other available information to help you assign giving levels. "Once your team is in place and your list is has been compiled, you’re ready to start soliciting donations. Be sure to have a good record keeping system in place before you begin, and don’t be afraid to be a bit of a 'salesman' – in order to get people to donate, you have to 'sell' your campaign just like any business has to 'sell' its products." The Campaign Finance Searchable Database is also a great tool, whether you're running or not --> http://www.fec.gov/finance/disclosure/norindsea.shtml. If you've read everything on campaign finance here in the last two days, you're well on your road to winning your campaign from the financial side. It only remains to find out how to win through carefully planned strategies. Next: How To Win Your Campaign For Political Office: Strategies And Tactics. "You will never be happy if you continue to search for what happiness consists of. You will never live if you are looking for the meaning of life."